Attendees walk past a sign for the Amazon Web Services Summit in San Francisco in April 2017. (Bloomberg photo by David Paul Morris). Earnings reports from Amazon, Microsoft and Google showed that the companies are grabbing a larger share of business technology spending, defying warnings from some of their suppliers that a hot corner of the industry might be cooling off. Earnings reports from the biggest providers of internet-based computing services — Amazon, Microsoft and Alphabet’s Google — showed that these companies are grabbing a larger share of business technology spending, defying warnings from some of their suppliers that a hot corner of the industry might be cooling off. The cloud giants entered the year facing questions about whether they could sustain their robust growth rates in an environment of uncertain global economic growth and investment. And at the start of fourth-quarter earnings season last month, investors got some worrying news from companies that sell the networking equipment and computer chips that go into the data centers that underpin the cloud. Intel, Micron Technology and Juniper Networks were among those blaming lackluster results on slower spending by data-center customers. Now, investors have some reason to be relieved. On Monday, Google reported sales in its “other revenue” segment, a bucket that includes the Google Cloud Platform, of $6.49 billion in the fourth quarter, up 31 percent from a year earlier. Capital expenditures at Google soared 80 percent, to $6.8 billion. While the stock declined in extended trading on concerns about how the investments will affect profitability, much of the higher spending is tied to new data centers and related hardware — a signal that demand for cloud services is holding up. 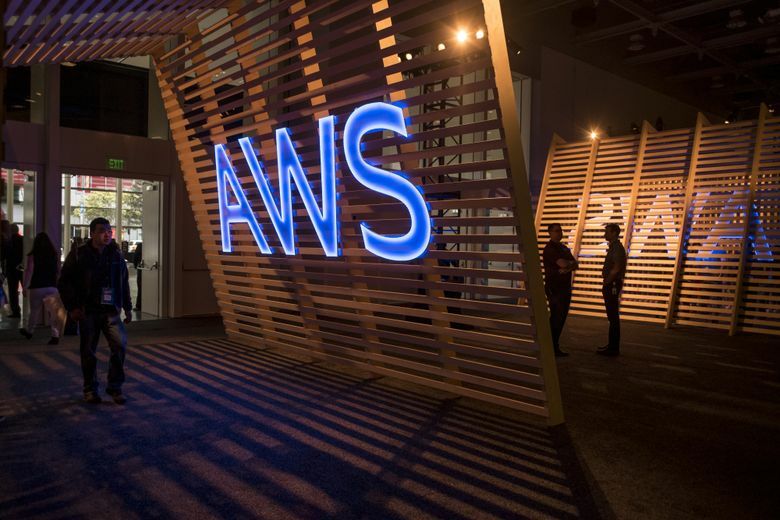 Last week, Amazon reported that its web-services division, the leader in providing rented computing infrastructure from its data centers, saw revenue grow 45 percent in the fourth quarter, holding the same pace as the previous period. So did the gains at Microsoft’s Azure cloud group, where sales expanded by 76 percent. Finance chief Amy Hood said the software maker wasn’t seeing any signs of a slowdown in demand for internet-based programs and services. Alibaba Group Holding posted 84 percent growth in its own cloud unit. Many analysts say businesses are still in the early years of a major shift in how they buy technology, reducing their reliance on stocking and maintaining their own data centers and backroom servers. Instead, many are opting to power their operations using software rented from cloud-computing giants, turning previously consumer-focused companies like Amazon and Google into bellwethers of business-technology use. Market researcher Canalys estimated that cloud-infrastructure spending climbed 46 percent in the December quarter to almost $23 billion, bringing investment for 2018 to more than $80 billion. And Synergy Research Group, which closely tracks information-technology spending, last month increased its long-term forecasts for cloud-computing demand. Growth by companies’ cloud units has slowed as their businesses matured but have so far defied expectations for a major pullback. On Jan. 24, Intel, which supplies about 99 percent of the processors that run servers, raised alarms when it blamed a weak revenue forecast in part on a slowdown in spending from large cloud-computing customers. The company’s revenue from cloud providers rose by 24 percent in the fourth quarter, compared with a 50 percent increase in the prior three months. Overall its server-chip unit posted a 9 percent revenue expansion, held back by a decline in spending by corporations and government agencies. Boise-based memory-chip maker Micron in December cited a buildup of unused stockpiles among customers, sparking concern that spending on key components of servers will weaken. Analysts with Jefferies said in a research note that data-center related revenue at Intel and its main competitors grew much faster than historical trends in the last year. After previous similar spikes, growth cooled off for as long as a year as companies worked to fill their new server racks with customer workloads, the analysts wrote. Cloud-computing spending has proved difficult to forecast, said Simon Leopold, an analyst at Raymond James who covers technology-infrastructure companies like Cisco Systems and Juniper. Historically, it was much easier to predict investment patterns from telecommunications companies like Verizon Communications and AT&T because they would be clear about what their capital spending plans were. That’s not the case with cloud-computing providers, Leopold said, which tend to buy components for data centers unpredictably, and without a lot of lead time, favoring bulk purchases as they build new facilities or change the system design. Dinsdale, of Synergy Research, says short-term sales by chipmakers “have almost zero bearing on the short-term sales of the big cloud providers.” Builders of processors and networking components also have to deal with shifting demand from corporate data-center builders, as well as operators of search engines, and e-commerce and social-media sites, among other customers. “Bottom line, I wouldn’t be losing too much sleep over the growth prospects of the hyperscale cloud providers,” he said. Bloomberg’s Ian King and Brandon Kochkodin contributed to this report.